Airbus is a European aerospace corporation which designs, manufactures and sells aerospace products worldwide with a manufacturing base in multiple countries inside and outside of the European Union. Hired to provide UX/UI design and consultation in the first phase production of a new Document Management and Airworthiness Clearance System for the maintenance of aircraft. The amendment or development an existing aircraft part involves a detailed process of documenting, reviewing and clearing by Airbus engineers and “Air Worthiness” planners. This process creates hundreds of on-line / off-line documents in a complex, relational system. The old system was slow, opaque and labour intensive and what initially started as a ‘tech refresh’ for an outdated technology developed into a specification for a complete re-design of the entire “Clearance Planning” workflow. The IT department responsible for the production and scope of the new ‘Clearance Planning’ system had produced a large number of Use Cases based on their initial requirements gathering meetings with stakeholders. On presentation of the Use Cases back to the stakeholders however it became evident there was little engagement or traction with stakeholders due to the complexity of the work. Having initially being asked to create a series of static I.A. wireframes based on the provided Use Cases as well as visualising primary user flows throughout the system it was clear early on that creating an interactive prototype would be the most effective method in bringing much needed engagement with stakeholders as well as actual user feedback to the project. 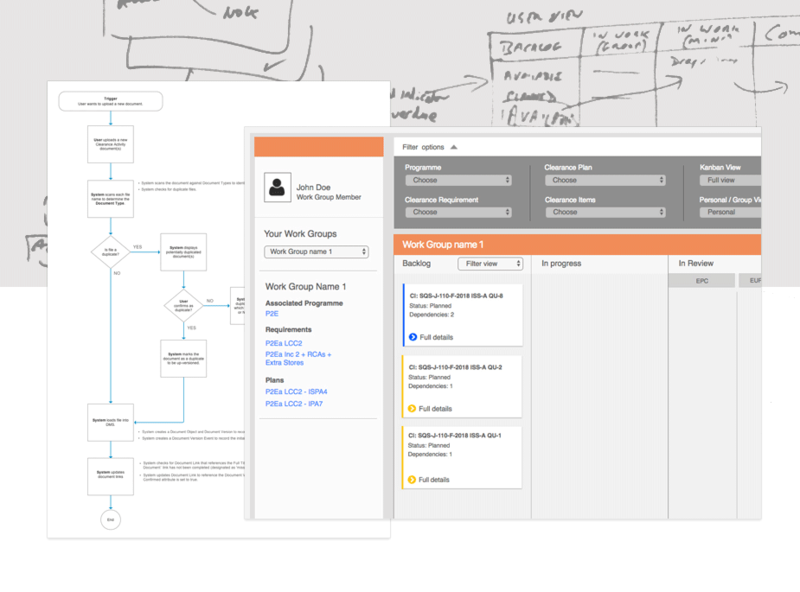 Prototype work began (using Axure) based on the supplied Use Cases and corresponding UML diagrams. Over the following weeks a fresh round of design led workshops were held with Stakeholders, Subject Matter Experts and Users where the prototype was tested / demonstrated, discussed and iterated upon based on feedback. The prototype design was finally integrated with final documentation for the company’s CDR (Critical Design Review) and eventual transition to Airbus Spain to create the first phase of Development. Designing for an Arts Club is a challenge, but one Donald was more than up to. He showed patience and sympathy with our institutional sensitivities, and was able to steer us to solutions which felt right for us but which also harnessed the best of what the technology could offer. By concentrating on creating a series of rapid prototypes and leading a new series of design led workshops the project began engaging with end users and stakeholders - eliciting the required feedback to move the project and design forward in a more direct and meaningful way for the client. The resulting prototype and design work was an important addition to the final CDR. The subsequent discussion around the prototypes allowed the external development team a clear understanding of what they required to build for their first phase, resulting in an efficient and clean handover of the initial design work.